Now is the best time to save the date to schedule your shrub trimming and shrub pruning here in the Maugansville MD area with Grosh's Lawn Service. Some shrubs need shrub pruning to remove dead or diseased limbs or branches. Spring blooming shrubs need to be trimmed at the proper time as well as summer blooming shrubs here in the Maugansville MD area so that next year's blossoms are not being cut off. 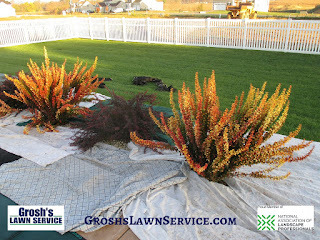 By having Grosh's Lawn Service take care of your shrub trimming and shrub pruning you will be helping the shrubs maintain the proper size and shape for the area where your shrubs were planted. 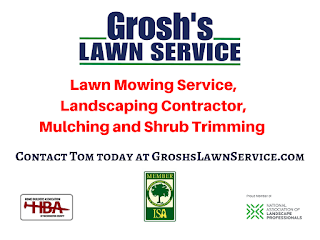 Contact Tom now at GroshsLawnService.com to schedule your shrub trimming and shrub pruning here in the Maugansville MD area and Washington County Maryland.